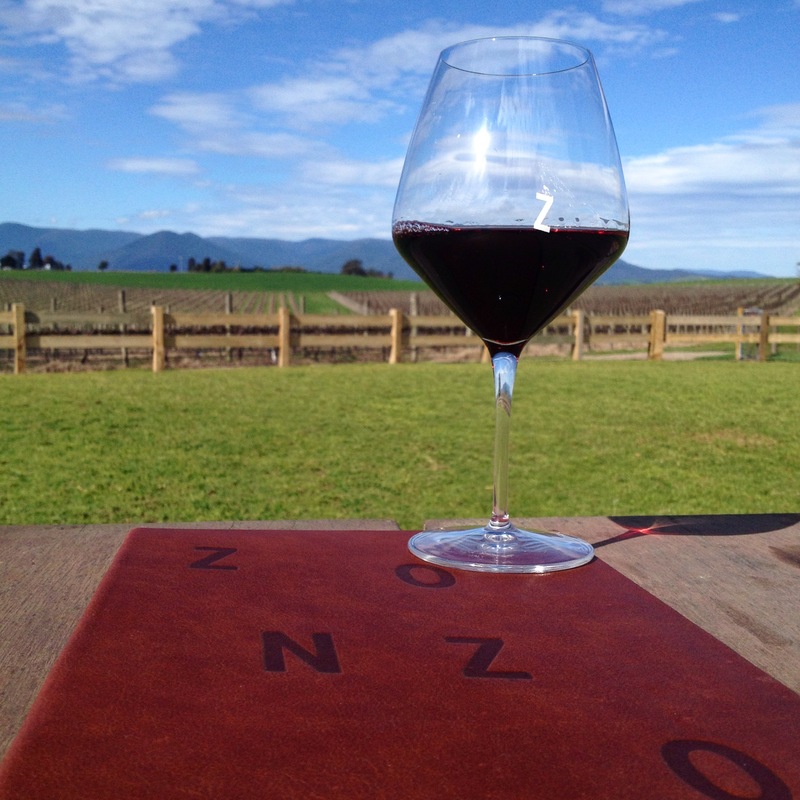 There’s a new estate in town – Zonzo Estate. With a launch that included a hot air balloon and a race in the Yarra Valley Cup named after it, it is an Estate not to be missed. 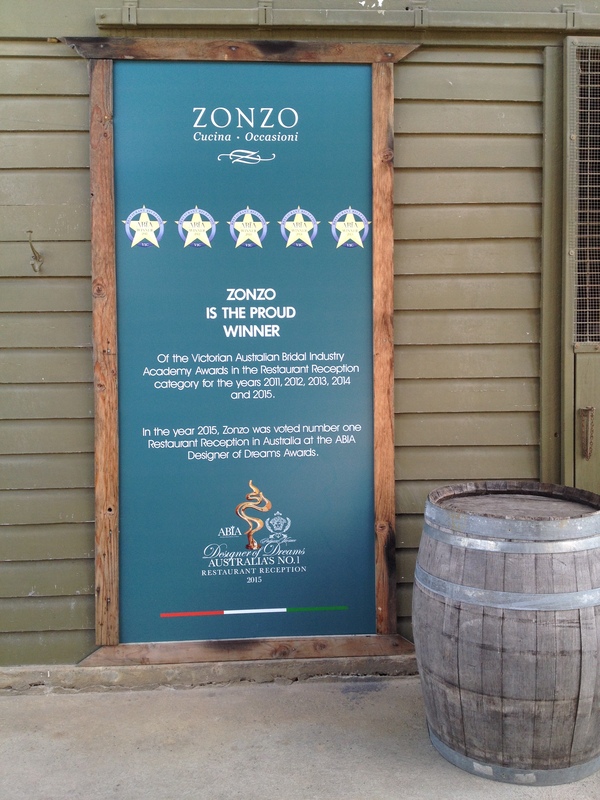 This is a winery with a truly Australian feel and a traditional Italian taste. 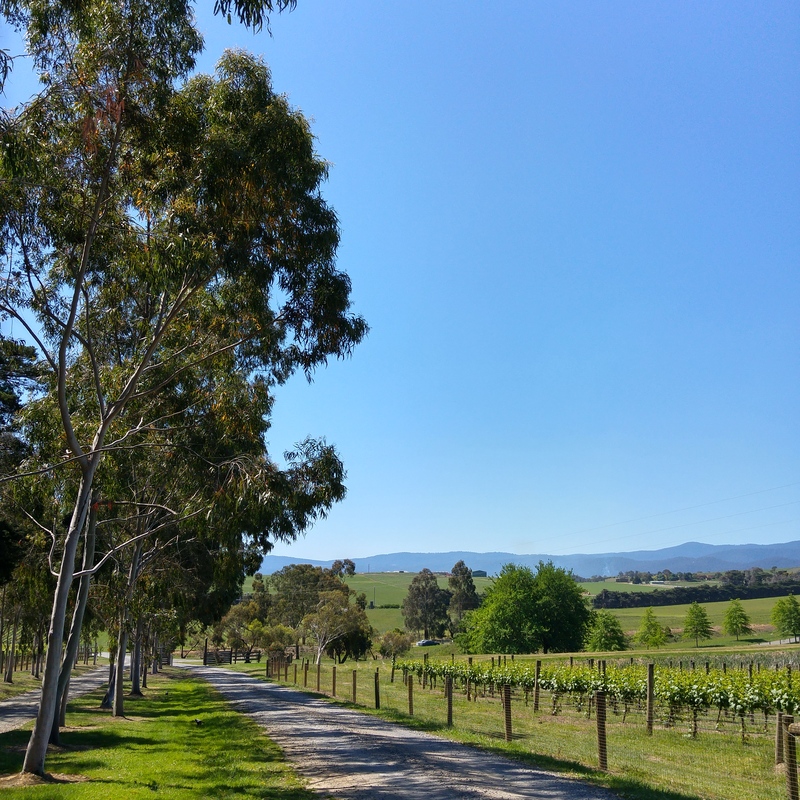 The gum lined driveway reminds you that you are in the Australian wine country, where corrugated water tanks and rusted abandoned train tracks live in harmony with the spectacular views of the Great Dividing Range and row after row of vines for as far as the eye can see. It is obvious when you first arrive that the previous use for the land was to stable and maybe even train horses. 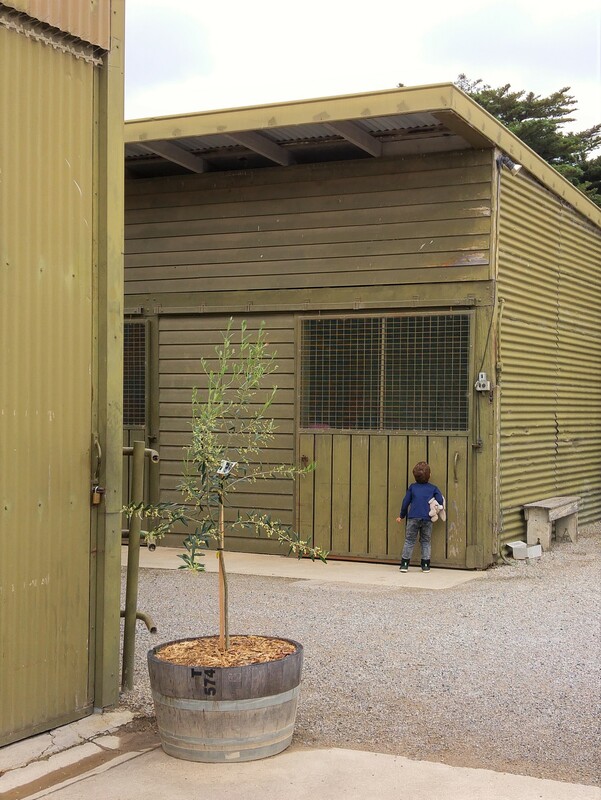 The old stables, now used for storage, add a charm and sense of history to the restaurant as well as intrigue for my munchkin, who can sniff out a fan from miles away – even if it is stored in an abandoned stable. While on the subject of children, Rod and his team love and encourage kids to experience the Zonzo way. With plenty of room for the little ones to run, jump, roll and play outside it can be a whole family experience. 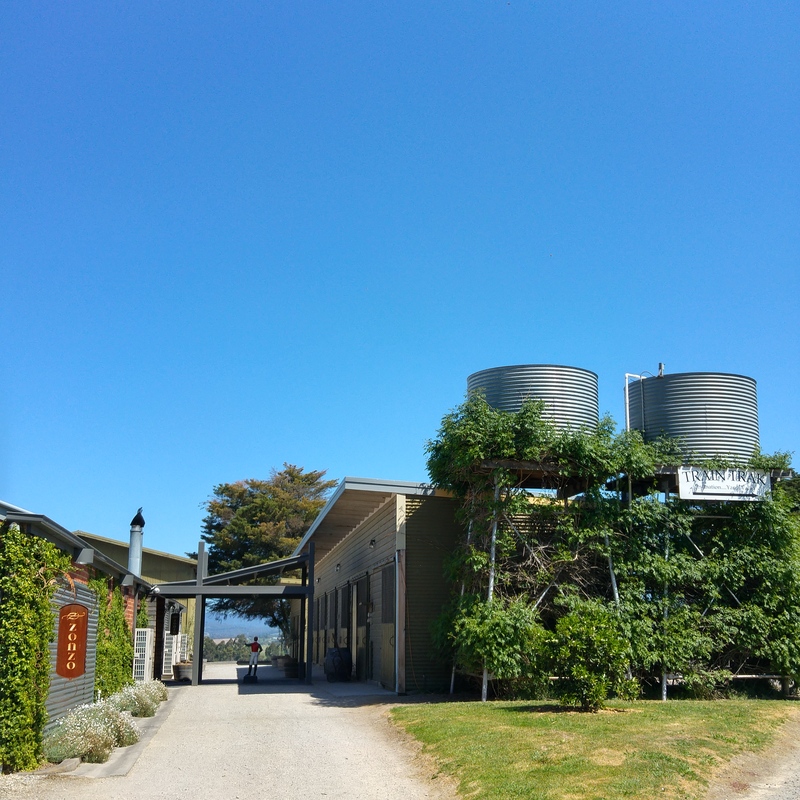 The restaurant itself is a beautiful blend of outback rustic meets industrial. However, it is not the décor that you first notice when you walk in, but the scenery. I am amazed at how well each establishment has utilised the amazing views of the Valley. I guess it makes sense, who would want to hide such beauty from their guests? 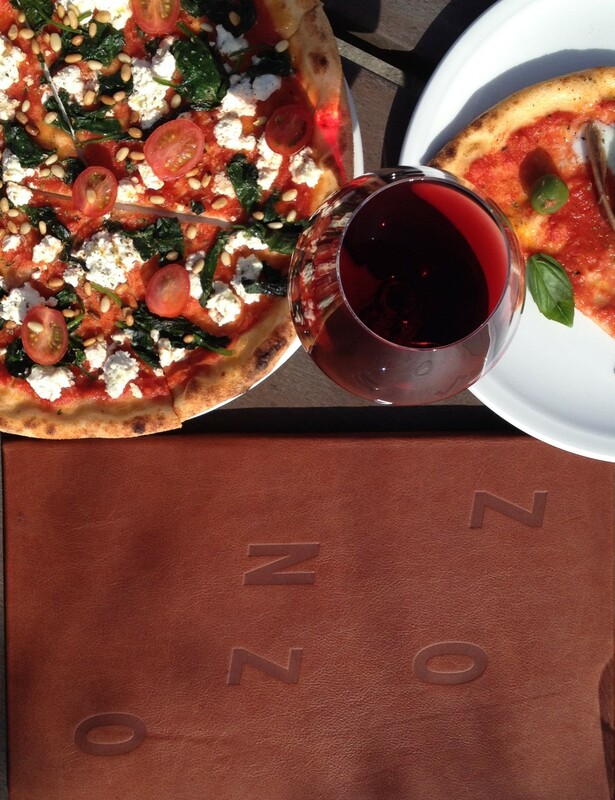 Zonzo restaurant has a wall full of floor to ceiling windows resulting in a view for everyone. If that is not enough and the weather is beautiful you can choose to immerse yourself even more in the beauty by dining outside. 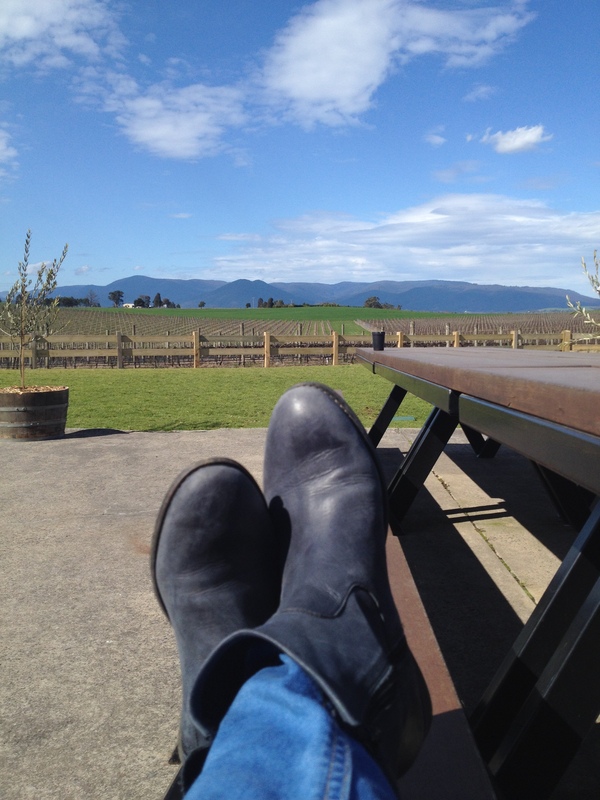 This is my preferred option – the kids can run and play while I soak up vitamin D, sip a glass of wine /coffee and go to my happy place where blue skies are forever and the lush green of the rolling hills are highlighted by the dusty grey of the mountains, ah take me there now. The menu is such that you could order and share or individually order. The pizza is tasty and simple with a thin crust, perfect (as a boy at school used to say ‘why get fancy?’). The flavours are robust and yet the pizza itself doesn’t leave you with that heavy ‘I just ate an entire dough factory’ feeling. 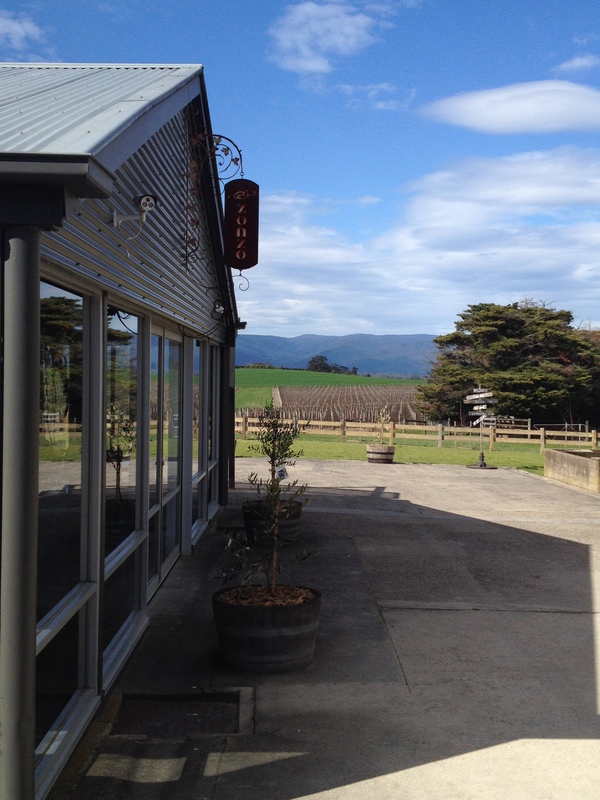 Again the little ones are catered for with a kids menu, making it easy to visit the Yarra Valley as a family – so there are no excuses. 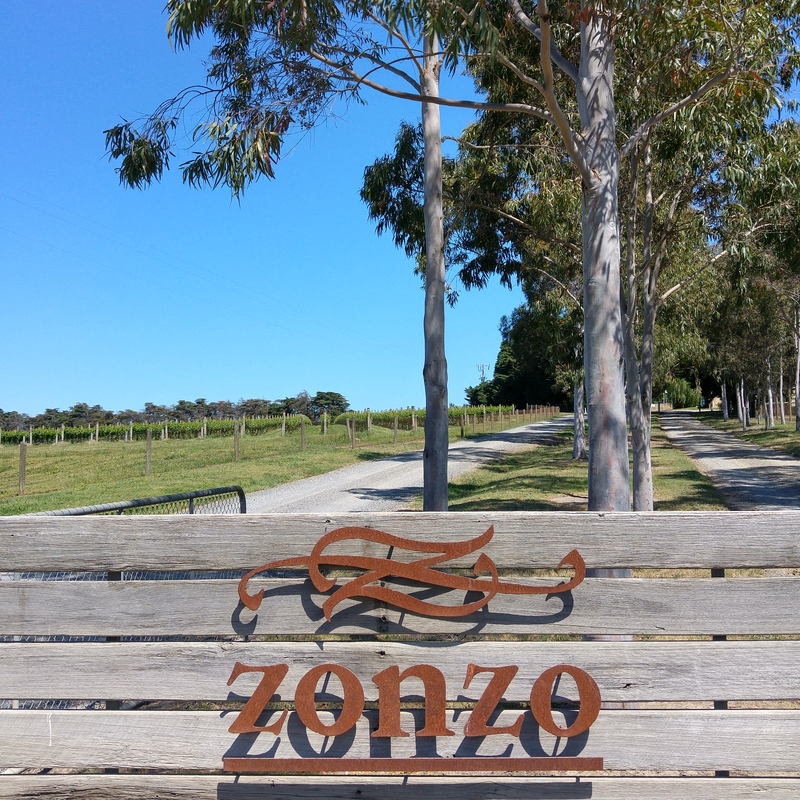 Whether it is to enjoy a wine and lunch with friends, coffee and dessert with a view or celebrate your nuptials, Zonzo caters for all and it is clear to see why they have been awarded the Restaurant Reception of the year for the last 4 years running in the Victorian Australian Bridal Industry Academy Awards. My family and I will definitely be frequenting this warm and welcoming Estate for years to come. 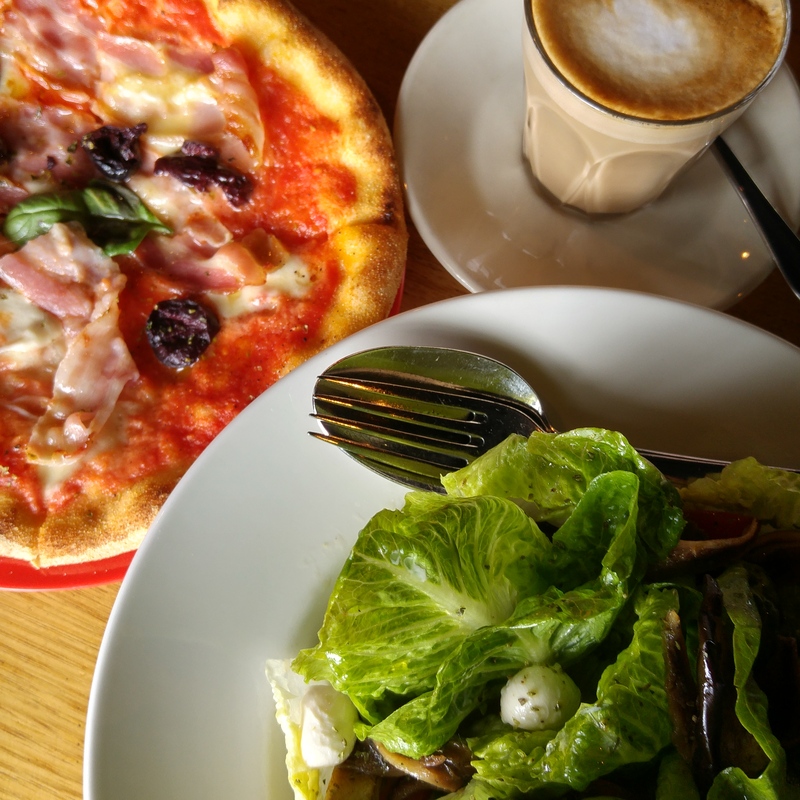 Kids Pizza, Coffee and anchovies salad.